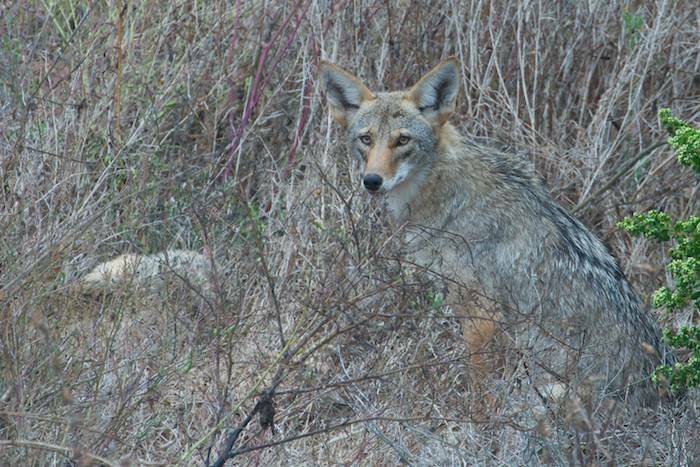 I am pleased and proud to present a third version of our one-stop video presentation, “Coyotes As Neighbors” in Mandarin Chinese. 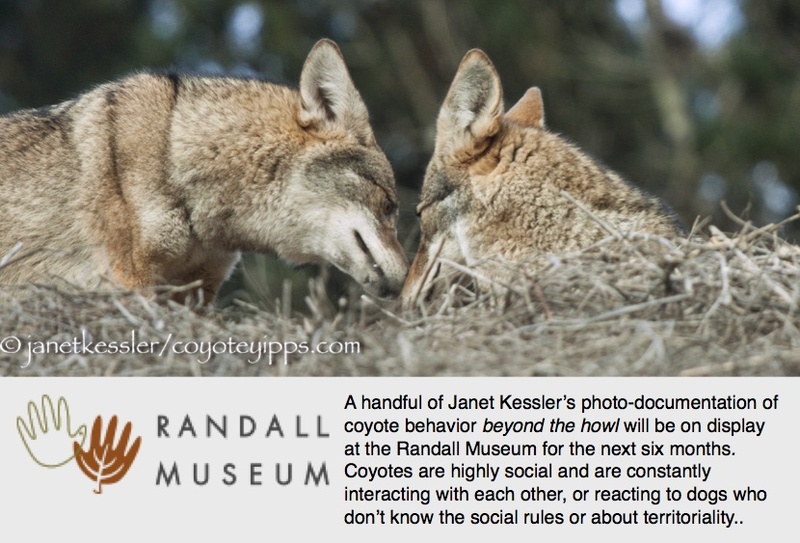 A huge thanks to the folks — every single one a community and/or professional volunteer — who spent hours working with me on this video project so that we could get useful coyote information out to people who are less comfortable with the English language. The video now can be seen and heard in English, Spanish and Mandarin Chinese. Cantonese speakers, of course, will be able to read the Mandarin version even though the voice-over will be unintelligible to them. My long-time friend Sylvia Chen, a special needs instructor with a Ph.D. in Neurolinguistics from Taiwan, spent many days interpreting and translating the text for the Mandarin version, minutely working out nuances of meaning for the Chinese speaking community. Zhu Yanan, from Beijing, only 23 years old and an international law student at USF — and a magician who practices “slight of hand”! — generously lent us his fabulous voice for the voice-over in Chinese and suggested I put some music into the background, which I did. Two more long-time friends, Luz Andino, a Spanish teacher from Argentina at the San Francisco Friends School, and María José Phillips from Spain, with a Ph.D. in Comparative Literature and adjunct professor in the Spanish Department at the University of San Francisco, worked many, many hours, separately, on the translation, and Rafa Unzueta Daly, a photojournalist from Chile who studied at USF, lent us his awesome voice for the Spanish voice-over. Thank you all for giving so much of your valuable time and intense effort to this project. What an amazing and very special international group! I had fun working with you all and had fun putting the final work together in these videos! Congratulations to you all and thank you for supporting sharing of the environment with our wildlife! The same issues are being faced by two separate communities, one to be solved by banking on people’s fears due to a lack of information and understanding, the other to be solved by giving folks the information they need to deal with any issues and to coexist peacefully. 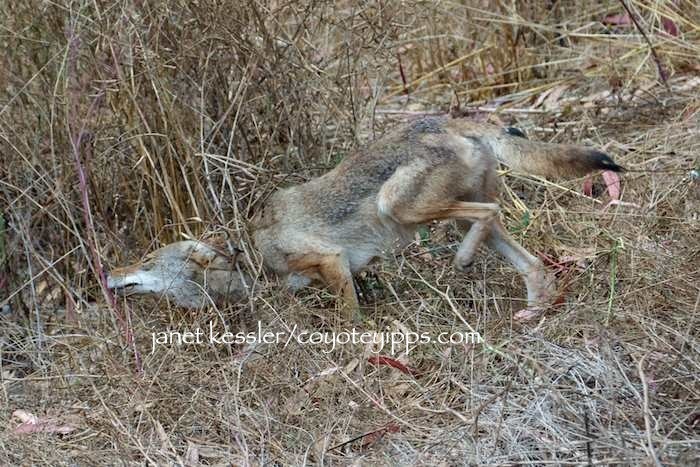 Seal Beach Council members have elected to shoot coyotes based on the emotional reactions of their constituents. It’s a quick-fix, knee-jerk reaction which falsely suggests that once the coyotes are wiped out all such issues will magically disappear. 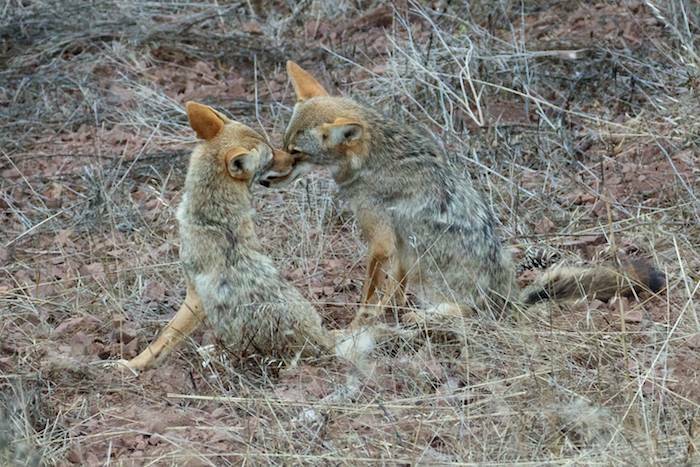 But coyotes are here to stay and other transient coyotes will soon fill the vacated niches of those slaughtered coyotes, birthrates will increase to compensate for the losses resulting in more coyotes than existed before the killings, and no issues will have been solved — and the blood bath will be perpetual. 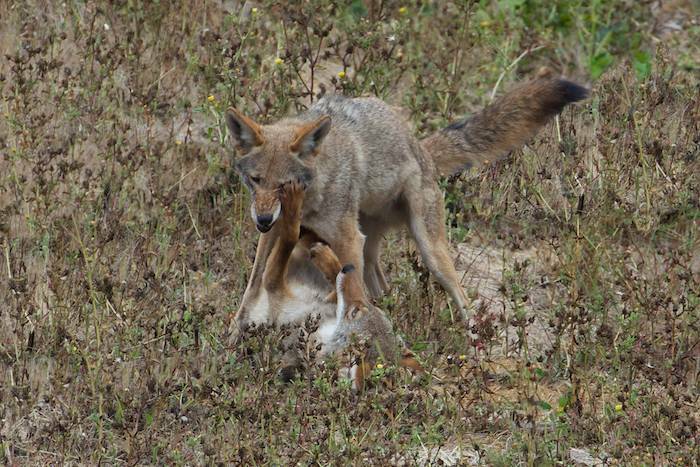 Huntington Beach officials, on the other hand, for their management strategy, are providing facts and education to help folks learn and understand how to coexist with coyotes: the actual issues are solved with this approach whereby people and coyotes can exist together in an environment. This coexistence strategy is being adopted in cities across North America because it is effective and humane, and there is no coyote population rebound effect which often results if you kill these critters whereby you end up with more coyotes than you began with, and the same issues you began with. 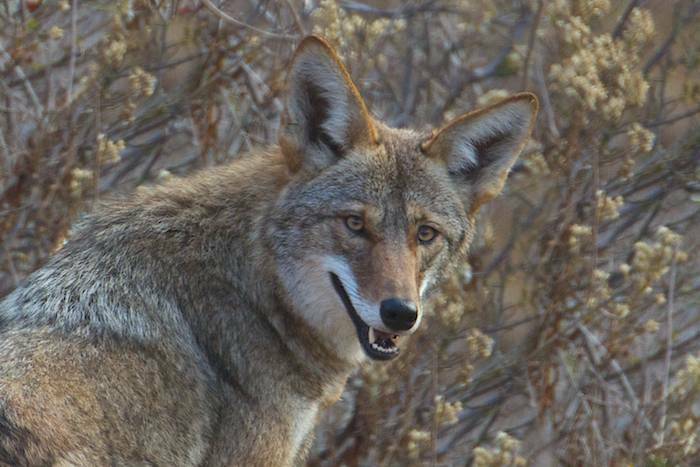 The guidelines must be followed, but they are simple: don’t allow pets to roam free, keep dogs leashed in coyote areas and walk away from one if you see one, know how to shoo away a coyote, keep your distance, and don’t leave food out. 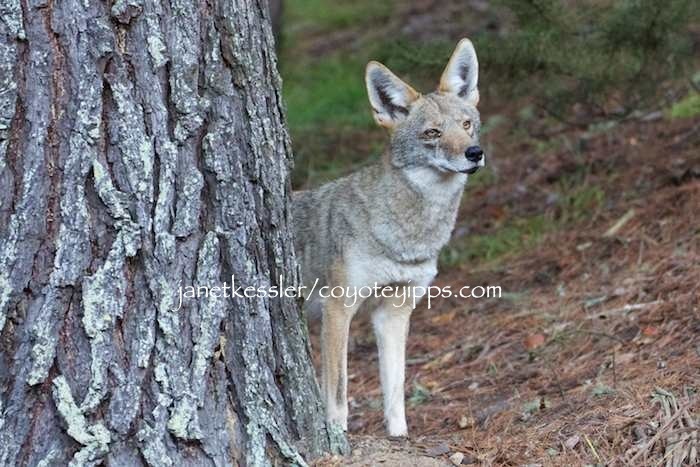 Please view the video at the top of the coyoteyipps homepage and visit coyotecoexistence.com.